*NOTE: Black, Forest Green, Navy and Royal are out of stock. 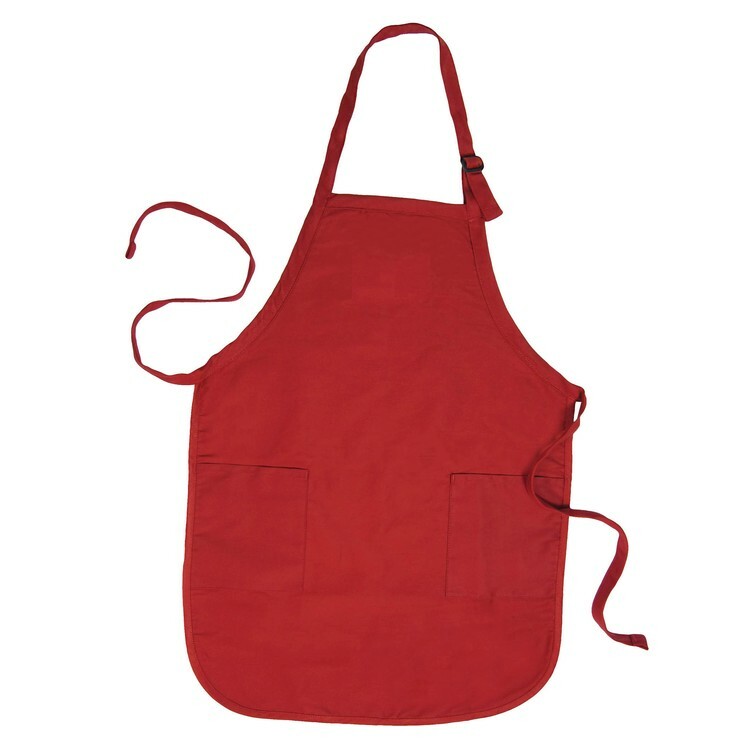 * Apron: 24" W x 12" H, 7.5 oz. 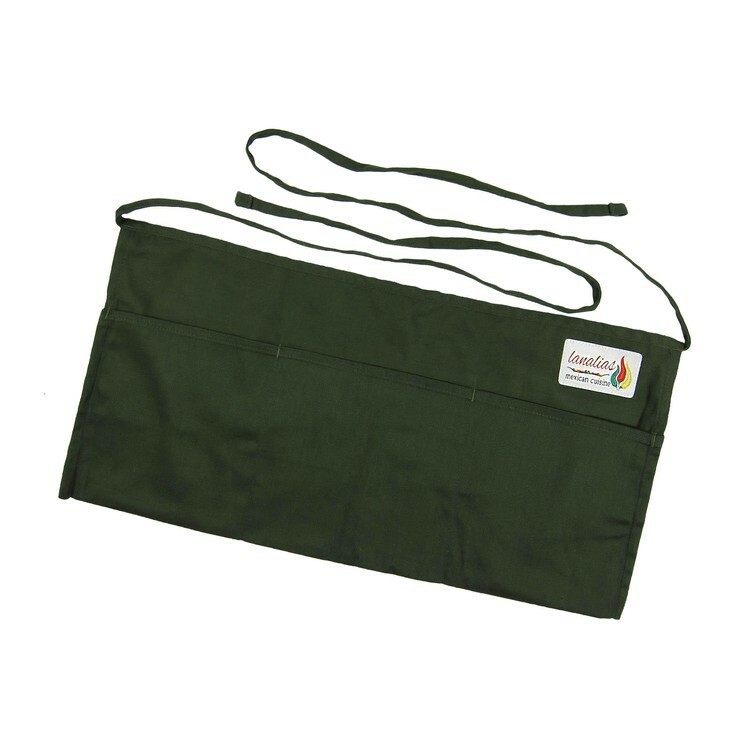 twill fabric, cotton/poly with pouch divided into three equal compartments. Size: 24" W x 12" H. Item Colors: See images for colors. Random Samples: EQP. Freight not included. Please supply UPS or FedEx number for shipping. Production Time: 8-10 working days for quantities listed. F.O.B: Georgia 30340 Packaging: Bulk. 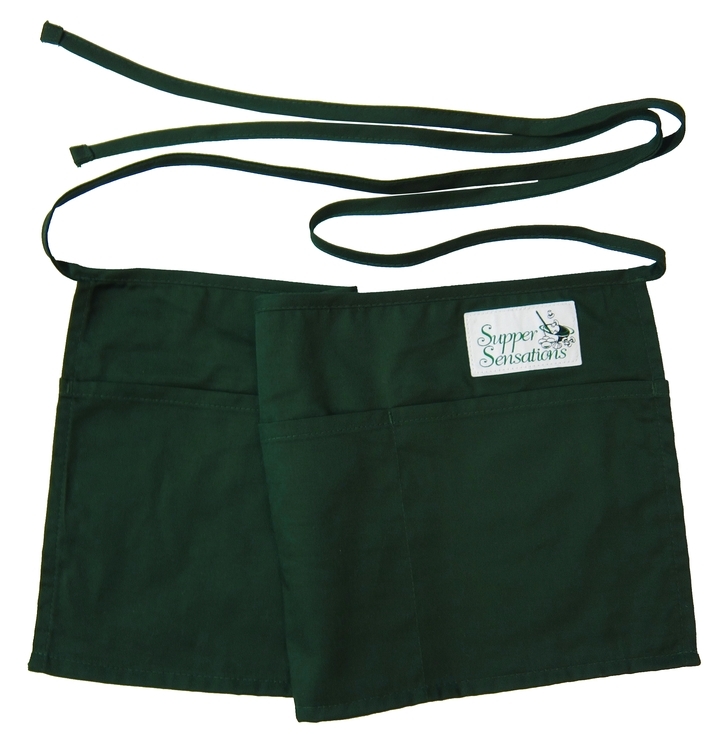 Apron: 22" W x 30" H, 7.5 oz. twill fabric, cotton/poly two patch pockets at waist level, binding trim. 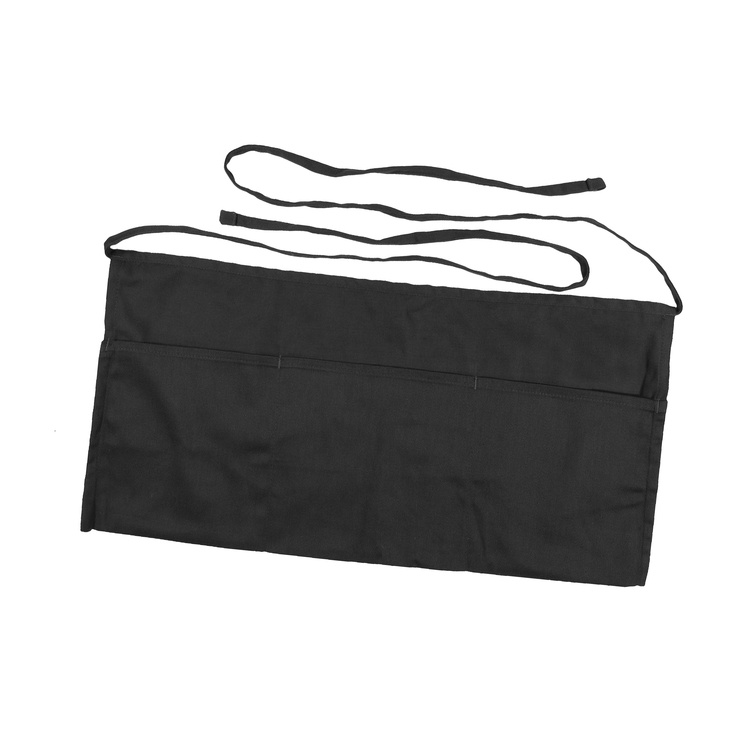 1-inch wide neck strap with buckle for adjustable fit. Size: 22" W x 30" H. Item Colors: See images for colors. Random Samples: EQP. Freight not included. Please supply UPS or FedEx number for shipping. Production Time: 8-10 working days for quantities listed. F.O.B: Ohio 45264 Packaging: Bulk.